The practice of loading down noncontroversial legislation with divisive and partisan provisions is an all-too-common phenomenon at the modern North Carolina General Assembly. Last year, Republicans—in the midst of a self-imposed HB2 exile—adopted a similarly poisonous approach to cleaning up their own mess, by preserving an intolerable ban on local nondiscrimination ordinances even as they repealed the bill’s most controversial provision. It was a thumb in the eye to equality advocates who denounced HB2 for its humiliating transphobia. All of this is to say that North Carolinians have grown accustomed to gagging on this legislature’s medicine. Perhaps that’s why many reacted with seeming indifference to the GOP’s latest poison pill, a bid by powerful Senate Republicans to hijack a school safety bill with a Scud missile pointed squarely at the Affordable Care Act (ACA), better known as Obamacare. These days, you’re more likely to spy a unicorn cavorting about the Legislative Building than you are to witness the kind of cross-party, hand-holding we witnessed for this bill’s original version, which sought to recruit new school psychologists. It’s one of a handful of ideas that emerged this spring from a hastily convened school safety committee following yet another deadly campus shooting. And while it’s heartbreaking that House lawmakers required another massacre to galvanize them into addressing the state’s paucity of campus mental health professionals, it’s downright shameful this good piece of legislation is liable to leave the Senate in this fashion. 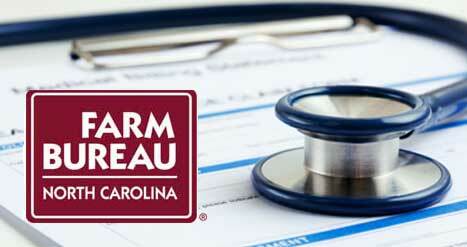 By allowing the N.C. Farm Bureau—an ag-focused, membership organization with clout in both parties—to offer their own skimpy, low-cost health insurance plans, Republicans are ostensibly acting to rescue policyholders who can’t afford their premiums. But in this legislature, the fine print is everything. The bill is rife with consequences that—whether intentionally or unintentionally—may undermine the state’s ACA marketplace/exchange, which enrolled more than 519,000 North Carolinians this year despite an abbreviated sign-up period ordered by a spiteful Trump administration. Put simply, these Farm Bureau plans would be cheaper because they are exempt from state and federal regulations that bar discrimination against individuals with pre-existing conditions and set basic standards for coverage, both major benchmarks of the 2010 healthcare overhaul. Farm Bureau President Larry Wooten even seemed to acknowledge last week that the organization would not dive into the muddled morass of our healthcare system without the ability to exclude some with pre-existing conditions. The cheaper plans would no doubt appeal to some. There is—after all—a simple, brutal logic to all of this. But the resulting exodus of healthy individuals from the ACA marketplace would maroon more expensive, sick individuals in the ACA pool, driving premiums up even further. Tennessee lawmakers have afforded similar exemptions to the Farm Bureau since the 1990s, and experts say it’s likely yielded one of the nation’s most fickle markets, one that reportedly sent insurers scurrying for cover and once threatened to leave more than a dozen Tennessee counties without a single carrier on the marketplace. Wooten said last week that his organization has tinkered with the idea for two years. But if North Carolina lawmakers played any part in this lengthy process, they declined to share that information with the public until springing it on a Senate health care committee last week. That committee may vote on the proposal as soon as today. By no means is this a solution for all. This is a cynical escape door for some. If the ACA depends on a set of rules and regulations that require a level playing field for all insurers, then exceptions for poorly-regulated association plans like those proffered by Farm Bureau leaders are a serious detriment to “traditional” insurance companies and policyholders alike. Yet North Carolina Republicans seem oblivious—or worse still, apathetic—to Tennessee’s struggles. Wooten told senators last week that similar efforts in states like Tennessee and Iowa have “gone well,” although it’s anyone’s guess how Wooten is fit to judge the results in Iowa, where state lawmakers cleared the association health plans just weeks ago. Wooten is correct if he means the health plans are attracting droves of new enrollees in Tennessee. But if, by “gone well,” Wooten means that the program has been a boon to the Tennessee market, he’s either sorely mistaken or fibbing. North Carolina Republicans are not acting alone in this move. Their efforts are inextricably connected to the GOP’s unceasing efforts to sabotage former President Obama’s signature healthcare law, an admittedly flawed reform that, warts and all, has made health care more accessible for more than 20 million Americans. Indeed, policymakers in some conservative states are seeking new regulations that aim to erect separate insurance pools for the sick and the healthy. The proposal is morally and financially bankrupt. Republicans seek to sell the American people insurance plans cobbled together from bandages, chewing gum, unfailing hubris, and little concern for the well-being of many of their constituents. This isn’t about what’s politically savvy for the GOP, who, since taking power in North Carolina in 2011, have obstinately resisted calls to clear a federally-bankrolled Medicaid expansion for about 500,000 North Carolinians—an idea with far broader benefits for North Carolina than this kind of tortured plot. And this shouldn’t be about opening up a potentially lucrative windfall for an organization like the Farm Bureau or any other membership association that would hope to take advantage of this yawning loophole. No, this discussion should be about the North Carolinians frustrated by our healthcare system’s failings, tapped out by its mercurial costs, and confounded by warring political parties with a far greater penchant for self-interest than public interest. These are the people that Wooten and North Carolina Republicans would have us believe that they were thinking of when they disingenuously packaged this inscrutable proposal in a school safety bill last week. Our healthcare system is complicated, as are the headaches that accompany it even after Obamacare. But one thing that should be simple: Any solutions should be born of extensive public input, accurate and honest discourse, and good intent. Nothing about last week’s Machiavellian sideshow in Raleigh indicates lawmakers have this in mind.